You need something to put in those Easter baskets, don’t you? Warm weather is coming (although right now, it seems hard to believe in my neck of the woods!) and the kids will be looking for fun, new playthings. When I saw these freebies, I just had to share. Hope you enjoy them! UPDATE (2/12): The pattern for the sail boat pictured above is no longer available as Anna’s blog has disappeared. Sorry. What fun! 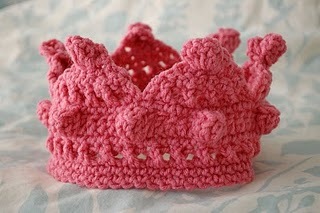 I love the crown, suitable for a King or a Queen depending on the color used. 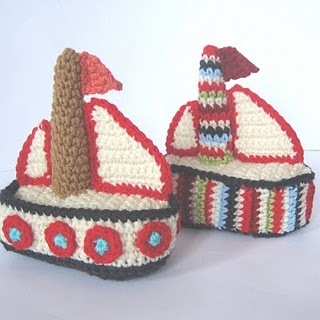 I would love to have the pattern to the sailboat, but the link does not work. Is their anyway to get the pattern? 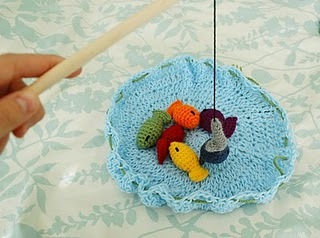 I have no way to obtain the pattern since the blog in which it appeared is no longer active. Sorry. I have no way to obtain the pattern since the blog in which it appeared is no longer active. Sorry! I have no way to obtain the pattern since the blog in which it appeared is no longer active. So sorry.